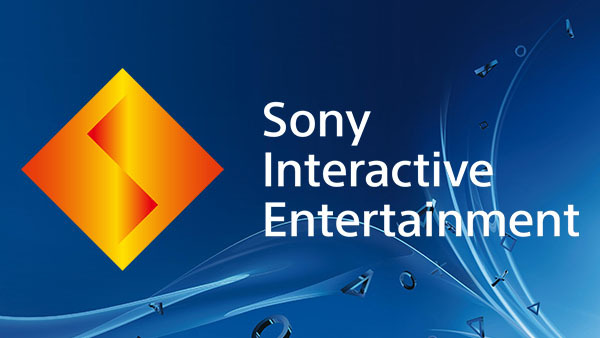 Sony (TYO:6758) Interactive Entertainment announced today that Jim Ryan will move from the position of Deputy President to President and CEO from April 1st, 2019. The current President and CEO, John Kodera, will then assume the role of Deputy President to focus on ‘innovative user experiences’ and expanding the network area as a whole. Below you can find statements from Sony CEO Kenichiro Yoshida as well as Jim Ryan and John Kodera on the news. Our Game & Network Services business has grown into the Sony Group’s largest business in terms of both sales and operating income. Furthermore, our business in this domain holds significant importance as our growth driver going forward. At the same time, this industry is relentlessly fast-moving, and to remain the market leader, we must constantly evolve ourselves with a sense of urgency. Based on extensive discussions with John, I have decided to change the management structure of Sony Interactive Entertainment to ensure sustainable evolution of the PlayStation platform and further growth of the network area. Jim Ryan has been long committed to the growth of the PlayStation business for the last 25 years. I believe that this new structure, where Jim will manage SIE’s overall organization and operations, and which will allow John to focus on the key mission to further develop PlayStation Network that has now grown into an immensely large platform with over 90 million Monthly Active Users worldwide — will enable SIE to accelerate its innovation and evolution even further. Moving forward, I also have expectations for John to lead the Sony Group’s DX (Digital Transformation) strategy drawing on his wealth of experience with PSN, in addition to his mission at Sony Interactive Entertainment. I have been discussing with Yoshida-san the need to drive SIE to the next phase in our rapidly changing business environment, and realize the evolution of the PlayStation platform and further enriching the user experiences made possible through the network, which is an essential value that people expect in the entertainment PlayStation provides. As a result, we have concluded that the best direction is for Jim to take the helm of the overall management of Sony Interactive Entertainment, and for me to spearhead the network area to continue creating innovative services and experiences, where competition continues to intensify with many new players joining the business. Jim has extensive knowledge around the game business and industry, as well as deep understanding of the PlayStation culture and strengths. I am confident that he will lead us to greater success as CEO of SIE. I will continue to support Jim by contributing to further strengthening user engagement, and to the overall growth of the PlayStation business. I also aim to leverage my experience and accumulated expertise to contribute to strengthening the Sony Group’s DX (Digital Transformation) strategy. It’s a huge honor to be asked to take on the role of President and CEO of Sony Interactive Entertainment. I’ve seen the PlayStation business grow and change massively since the very early days, and I hope to be able to put that experience to good use in reinforcing the foundations of the Game & Network Service business, and in evolving the entertainment that PlayStation offers to its engaged and passionate community. Working with John and the SIE team around the world, I am committed to strengthening relations with our business partners, and to continuing to provide the ultimate interactive entertainment experiences that make PlayStation the Best Place to Play. Jim Ryan previously made the news for controversial statements. For instance, back in 2017, he stated that backward compatibility (developed and promoted by Microsoft for its competing Xbox One console) isn’t actually used much, causing quite the uproar among PlayStation fans who would have certainly liked to be able to play games from the previous PlayStation consoles.